What does Coulson have on Cameron and Murdoch? Phone hacking: The big question now is what does Andy Coulson know that neither David Cameron nor James Murdoch wants coming out? By Left Foot Forward's Tom Rouse. 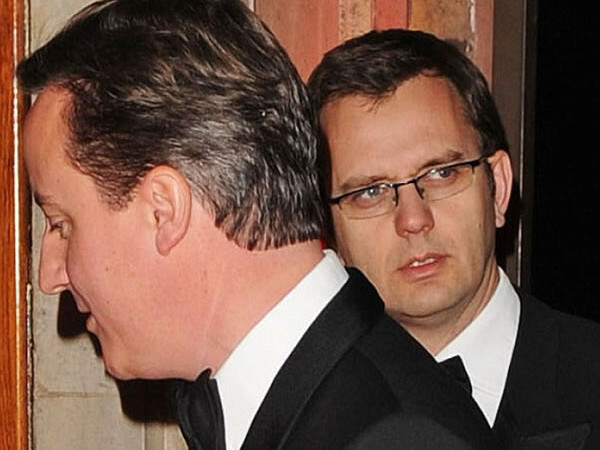 After a few weeks of relative anonymity, Andy Coulson is firmly back in the spotlight after the BBC’s Robert Peston revealed last night that he was receiving money from News International, whilst in his new role working as David Cameron’s spin doctor in chief. Despite resigning as editor of News of the World in January 2007, Coulson continued to receive payment from the News International through until the end of that year, with payment continuing even after he took up his role as communications director for the Conservatives. Andrew Neil, a former News International employee and editor, has questioned whether this was standard practice for the company, tweeting that his contract with NI provided him with no such entitlement should he choose to resign. Why then was payment made in the current case, especially as Coulson resigned as a means of taking responsibility for events that occurred on his watch. Here at Left Foot Forward we have previously expressed concern over the salary paid to Coulson out of the taxpayers’ pocket. These concerns are particularly relevant if, as Robert Peston has reported, Coulson continued to enjoy benefits from his previous employment while working for the Tories. A full financial disclosure by both the Conservative Party and Coulson is surely now required, as is a formal statement from Coulson admitting he misled Parliament. Questions regarding what David Cameron and George Osborne knew about Coulson and his past when they chose to hire him and their judgement in doing so are sure to resurface. There seems to have been a case of collective amnesia regarding Coulson’s continued payment by News International. The big question now is what does Coulson know that neither Mr Cameron nor Murdoch Jr. wants coming out? Was he paid a severance package as hush money to prevent further details of the phone hacking scandal coming out sooner? Due diligence was clearly either not performed or the evidence which was found was ignored. The latter seems more likely; surely Cameron or one of his aides must at some point have thought to ask whether Coulson was still receiving any form of financial contribution from News International? Perhaps the prime minister would like to return from his holidays once more, to confirm whether this was ignorance or a wilful misleading of parliament and of the British public. William, such payments are indeed common across industry, but not at NI if you believe Andrew Neil, who ought to know more than most considering he edited the Sunday Times. @William and @Mr. Sensible – a severance payment is different from a compromise agreement (the latter being the instrument by which Coulson got paid £270K in instalments plus benefits for three years). The first is normally contractual (and thus black & white). The latter is a negotiated agreement (often between lawyers or lawyers on one side & HR on the other). The compromise agreement is normally (always ?) triggered by dubiety (on either side) of the resignation so requiring some negotiation or embarrassing publicity/damage and further action may result. Can Coulson elaborate? Coulson has not declared his pay from NI for services rendered while being Cameron’s chief spin-doctor, and neither declared NI’s company car, or private healthcare that they paid for him. There are also NI’s regular reimbursements for Coulson’s legal defence costs in phone-hacking hearings. While Cameron, Grayling and Insidious Dole Snatcher nastily spin to the press about the “work-shy” and “scroungers,” what shall we label this matey gang who high-roll and binge on the public purse: Coulson, Brooks, James Murdoch, Rupert Murdoch, Cameron, Osborne, Hunt, Gove, Fox, Hague. Tinker Tailor Soldier, Spy; they’re all in it together. Drip, drip. Brown had something on Blair and WE ALL know what Cameron/Murdoch has on Brown, it is like an elephant in the room. Cameron used it to stop Brown heading IMF..problem is it went right over everyones head.